One of Huntsville’s premier office park developments, University Square Business Center offers more than 209,000 square feet of prime office space in seven one-story buildings. Office suite sizes range from 1,200 square feet to more than 10,000 square feet. Full-time management personnel offer immediate attention to tenant needs. Drop boxes for all major express mail companies as well as a postal drop are located within the development. Competitive rates and flexible terms enable University Square to meet the needs of both large and small businesses. Lease rates include all but janitorial costs. 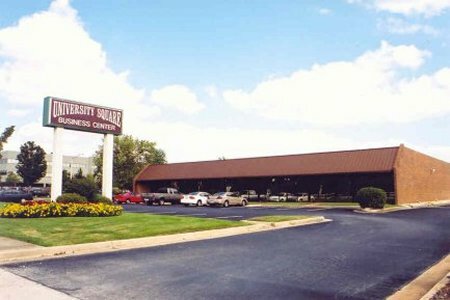 University Square Business Center is convenient to University Drive and the hub of Huntsville’s retail area and is within close proximity to Cummings Research Park. Tenants are only minutes from the post office, dry cleaners, and many restaurants and shops. Redstone Arsenal, Huntsville International Airport, and I-565 are easily accessible.